Ordering for December Daily® 2016 has officially started. EDITED | As many of you experienced this morning we had a major site crash at the launch time due to a crazy amount of people (love you guys and your enthusiasm) that far exceeded our previous numbers attempting to access the site at the same time. At this time, 10am PDT, things seem to be working smoother. I apologize for the inconvenience and frustration and want to profusely thank you for your patience as it got sorted out and our server capacity was increased dramatically. If, during that process, you ended up with multiples of products that you didn't intend to order please start a conversation with my Customer Service team and they will be happy to assist you in sorting out your order. To me this December Daily® Order Selection Period has started to become a bit of a marker for the transition from summer to fall (two of the very best seasons in my opinion). My kids all go back to school next week which will be interesting and fun and exciting with our new blended family situation. And Simon is starting high school. For real. Activities are on the calendar and a new normal will slowly begin to take place. With that in mind, the holidays will be upon us in the blink of an eye and my goal is to help you start thinking (even from a distance) about how you want to document your December this year. I'll be using a 6x8 album and the main kit for sure with probably a few other things added in along the way (I'm loving the stamp sets this year especially). You don't have to skip Halloween and Thanksgiving and jump right into bringing out your tree and your decor, but I think you know what I mean. This Order Selection Period will run from now until the end of September and then we will package up your box and ship it to you in October. If you are signed up for the December Daily® email list you'll receive reminders and updates about shipping along the way. You can sign up for the specific December Daily® newsletter at the bottom of this page. We do not anticipate any shipping delays this year. As you'll see below I've included video walkthroughs of the main kit, the coordinating products, and a video sharing some of my favorites from the mini kits for 2016. 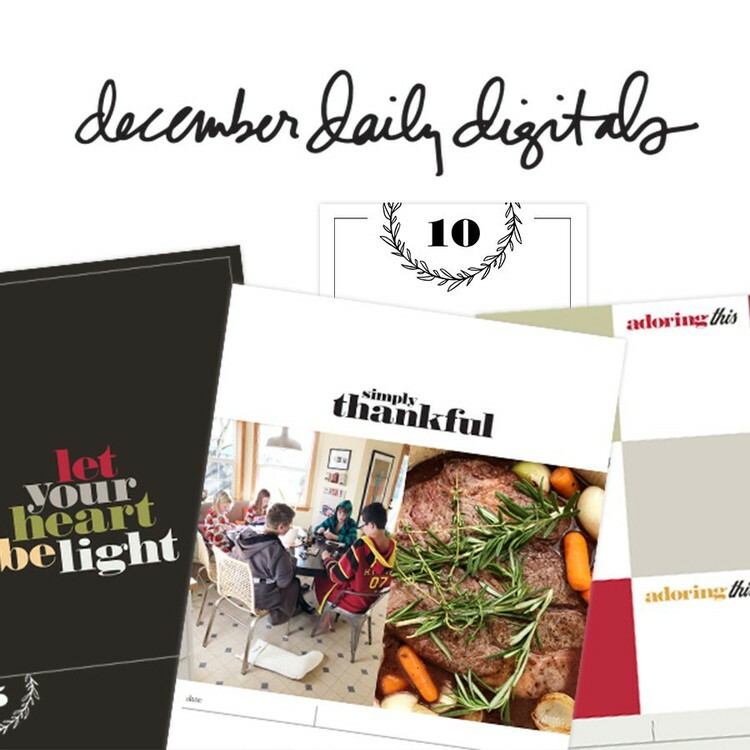 I'm super excited to bring you this selection of December Daily® products this year and am hopeful you'll find something to make documenting your stories in December that much easier and more fun. If you have any questions or issues with the order selection process please start a conversation with our Customer Service team. Click "Order Box" to start the checkout process. Review your order and click "Confirm Selection" At that time your credit card will be charged for the items you added to your box. Throughout the month of September you can add more products to your December Daily® box (your card will be charged each time you click "Confirm Selection"). For example if on 9/1 you select my kit + Jasmine's kit, you will be charged for those two kits at that time. If you return on 9/10 and add an album and a stamp set to your box you will be charged for those items at that time. Once shipping begins in October, we'll pack everything up and send it to you. The December Daily® box process includes a "Your Shipping" section which will allow you to see how much your current shipping charges are at any time. 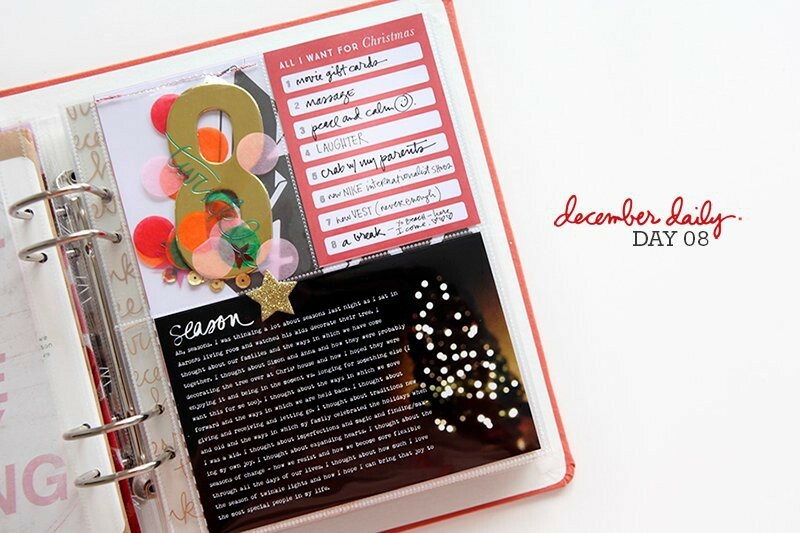 You can see additional images by clicking on the main kit image on the December Daily® Order Selection page. When you purchase my main December Daily® kit during the order selection period (9/1/16- 9/30/16), you will receive a free set of 6x8 hole punched transparencies (while supplies last). These kits are designed to compliment the main kit or work on their own. Enjoy! Designed by Liz Tamanaha of Paislee Press. Designed by Holly Becker of Decor8. 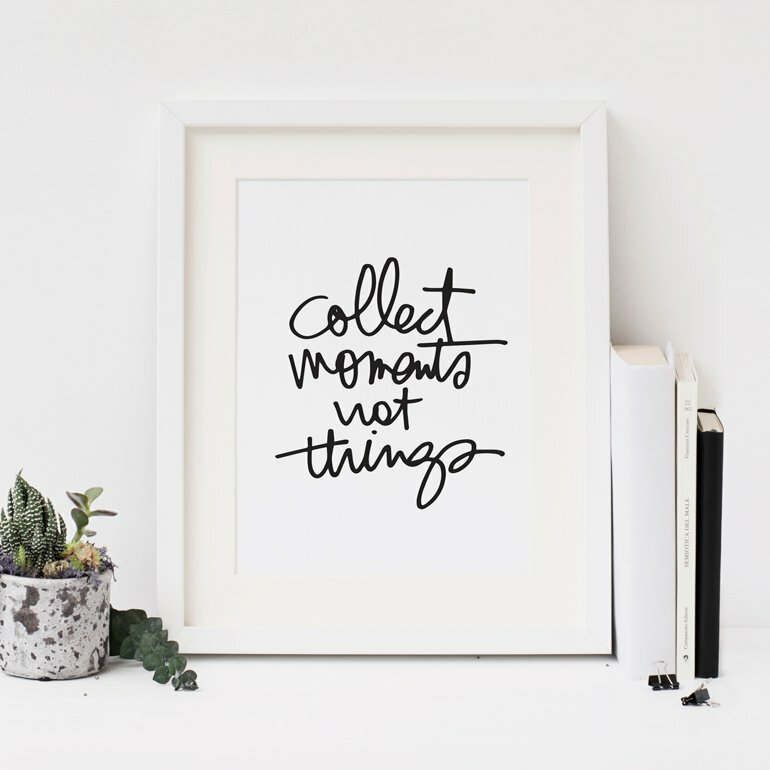 Designed by Kelly Mindell of Studio DIY! This year we have four albums to choose from: 3, 6x8 choices and one 4x6. They all include 31 page protectors in the same configuration as last year. I'm going to be using one of the 6x8 albums for my project this year. Check out the Coordinating Products video below for a closer look at the albums. We have 7 new 4x6 stamp designs available (5 designed by me, 1 by Jasmine Jones, and 1 by Liz Tamanaha), as well as 2 designs that we brought back from last year. 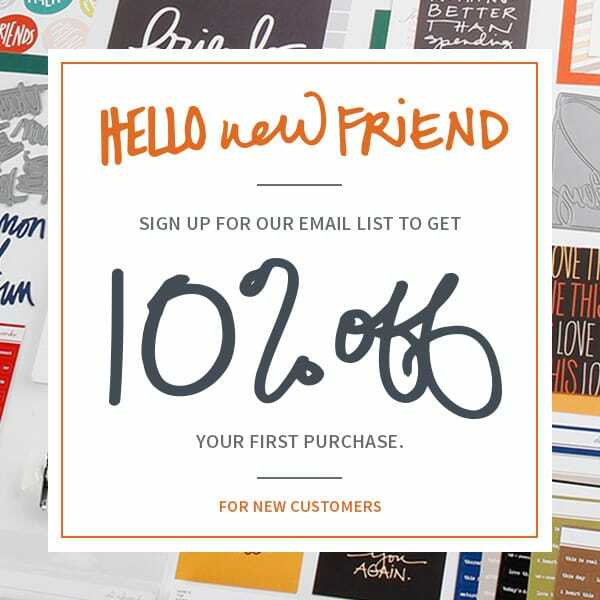 The coordinating items listed above (stamps, silkscreens, alpha, craft dies, etc) all ship for FREE anywhere. Digital products, for those of you who are interested, will be available on October 10th. These will include new layered templates and overlays for 2016, as well as digital versions of my main kit, the mini kits, and stamp sets. If you have any questions about the process or issues with the order selection process please start a conversation with our Customer Service team. For the silk screens that have sold out, might they be available in the future? I'm looking into it and will let you know. I'm so very sad I missed them too! Thanks for looking into it, Ali! I would love to get my hands on them! I will sound like the parent that I am, but no matter how stressful this morning was with the "crash" take care of yourself! Take away the good that obviously everyone loves you and your products and take a deep breath and go take a long nap. PE is nothing to take lightly, as you already know. Design,Inc. and others of your "family of friends" will obviously take care of everything. You take care of yourself! Nap time! I also love the silk screens! I was bummed when I refreshed my screen and they were gone. I'm sorry! They were much more popular than we anticipated. Yes! They will be included in the digital release. As always, so much thought and talent into another great project. I think this might be my favorite so far. Thank you for all you do to encourage us to document our lives. You and yours are such an inspiration. So wonderful to see you and everyone close to you with such happy faces--no one deserves it more. Oh, today is here at last....I bought your kit before even having a good look at it. Just feeling sorry for the girls in Australia that got up at 1am, as it took me an hour to get into the site...Just a suggestion for next year perhaps: could we get the video overview a day or so before the kit goes live for purchase? Would make for a more satisfying experience for many I'm sure. All the best for more resting Ali! I've been eagerly anticipating today and I guess everyone else was too. Quick question, are the cards in the main kit and the mini kit double sided or single sided? Maybe I missed it in a video. Jamie, in the main kit they are blank. In the minis it depends on which kit - some are blank and some are decorated. It's funny because one of the minis I don't like most of the cards but I love the backs of them as they are simpler. The page protectors are included with the albums. Hi Ali would the paint bundle and the screens restock? when I was buying it earlier there was something wrong with my cart it wasn't adding properly, then when it did add it got sold out. We are hoping to make some paints available but the screens will not be restocked. Hi Ali! Love your kit and will be ordering soon, just wanted to ask will you be sharing all your pages like last year? Or do we need to enrol in the DD workshop? Thanks! I will absolutely be sharing them here just like I have in all the past years ;). The workshop is more about the overall process vs. any specific products. Ali you out done yourself. I missed out of the screen which is a bummer. I hope you bring some back this year if not definitely next year. I hope with all the hiccups with the internet you don't over do it. Your health is too important. I can't wait till Oct when it arrives. Hi, Ali! Love the kits. So excited for DD! Quick question: are there going to be unboxing videos for the mini kits as there were last year? Thanks! Yes - most likely coming next week! Oh no, the album I was interested in is sold out (grey with merry, merry on it). Any chance you may be able to get more of those? PS. The kits are really beautiful too! Hi - those albums will not be restocked due to the production timeline it takes to have them manufactured. Bummer, I had had it in my cart but ran into a snag and then when I came back they were sold out. Thank you so much for responding! Have a great weekend! Thank you! Great designers, SO inspiring!!! Ali, I had a look at all the videos, and so love the products! Congratulations on a fantastic kit. Your considerateness shines through even in how you design your products. I'm so happy that you included stars and numbers in the main kit this year, will definitely use them. I was a little disappointed that the journal cards contained word art that I already have in digital format (at least I think so), if I must be honest, but LOVE LOOVE everything else. Thanks Lize :). Not everyone uses/has access to digital products which is why we used some of those on actual printed cards this year. Sometimes I think I am more excited about December Daily than Christmas itself! Waiting for the kit to be shipped makes me feel like a kid on Christmas Eve at bedtime! 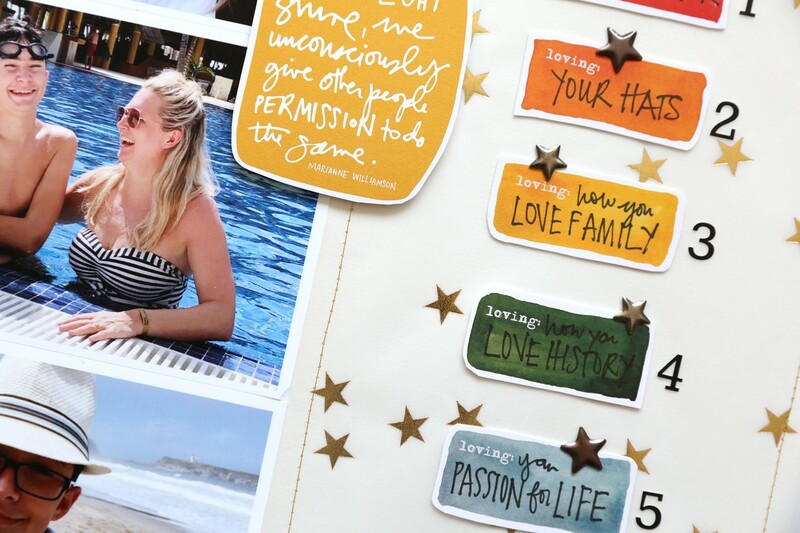 Love the added photos of the back sides of the journaling cards on the mini kits. Is it possible to add similar photos of the front sides of the cards, since from the main photo you really can only see the top card? Let me see if we can make that happen. We will have unboxing videos available next week where you'll be able to see both sides. Thanks Ali! I've already picked up the main kit, but I'm on the fence about adding a mini kit as well. This would really help. This year and last, there was one particular standout album (the ones with the handwriting on the cover) which was far more lovely than the others, and which sells out immediately, leaving underwhelming choices available on the first ordering day. It would be awesome if there were more of the obvious album-of-choice stocked! Hi Susan - "far more lovely" is in the eye of the beholder :). We ordered more of that album than last year and, even though it was a repeat design from a previous year, it still ended up being the one to sell out first. I appreciate your feedback and we will be reviewing how things went this year in preparation for next year. If only you had a crystal ball.....You can never predict what is going to be the fastest or slowest seller.That's real life business. The tone on tone grey Merry album is particularly standout this year. Far more lovely is DEFINITELY in the eye of the beholder as I'm head over heels for the red words album and the grey is actually my LEAST favorite (it's still beautiful but the grey doesn't do anything for me with such a bright kit). The red words match my Week in the Life album from a recent year, and if I remember correctly that album was a HUGE hit that year and I was thrilled to actually get it. Now for Christmas it's the only album left standing. I'm sure there's no way to know what the big seller will be until the day for ordering actually comes. Thanks Ali and team for all your hard work. Great Kits!!! Looking forward to getting started. DD is my favorite project of the year. Really love your main kit Ali and I had a hard time choosing the album I want because I loved them all but went with the red text album. Maybe for future kits you would consider an embellishments only kit, a paper pack (6x8) and I would love a bigger spine album (my albums are very full). Is there any chance the larger alpha sticker bundle will be restocked? Hi Steph - that one will not be restocked. We did a smaller option with the colors we still had available.